Hello all! Flip the page on your calendars, folks, because it is officially February (you know, like 4 days ago. So I'm behind on the times, but what's new?)! I have never really felt any attachment or superb feelings about this particular month, but the more I think about it, the more it feels right. First, we are out of that awkward stage of the holidays being over and not knowing how to get back to real life. Anyone else always find January kind of strange? After my birthday, all the festivities are over and it is kind of sad... Second, it brings us one step closer to SPRING! I have always lacked an appreciation for this season, but now I am welcoming it with open arms whenever it is ready. Since it is a new month, lets make some goals. + Create & fiercely stick to a budget. Yuck. Not one of my favorite words either, but I have some very expensive things coming up these next few months and I need to get a really strong grip to my finances. Sigh. To be an adult (except, at 20, I still don't consider myself an adult, FYI). + Keep playing with my newly purchased Nutribullet. Guys, I love this thing. I bought it on a whim with birthday money from Target a few weeks ago since it was on sale and I haven't regretted it for one second. It has been so fun putting different drinks together and packing them with healthy things like greens and seeds. Hopefully this month I can keep making drinks every morning (& sometimes in lieu of dinner or lunch too!) and share my favorites here. + Establish a workout routine. Or just start working out or doing something active in general. This has always been one of my biggest struggles. I think things are a great idea until I get started and then a week into it (if I make it that far), I quit or make an excuse. Its exhausting and doesn't make me feel great in any shape or form. I am openly taking suggestions right now. + Keep up with school work & maybe even do my best to be ahead. In past semesters this has not been my strong suit. It isn't even because I don't understand the work or am not at that academic level. It is for simply one reason: I'm a procrastinator. There. You know my secret. But, you see, in the past 3.5 weeks of this semester, things have been going really well and I have been on my best student behavior. I want to keep that up as the semester gets busier to make my life easier and less stressful than it has been in the past. 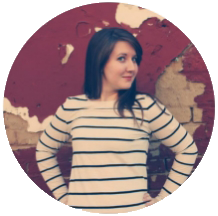 And now I'd like to introduce you to my lovely blogging friend, Jess! She is a recent college grad with a love for travel, food, and a great sense of humor. I always turn to her blog for a little uplift and inspiration! + Tell us a bit about your blog and why you decide to start blogging. Stamp in My Passport is a travel and lifestyle blog for those of us without bottomless bank accounts. When I'm not talking about my recent travels and favorite destinations, you'll find a mix of recipes, interior design inspiration and information on modern calligraphy, which I'm currently in the process of learning! 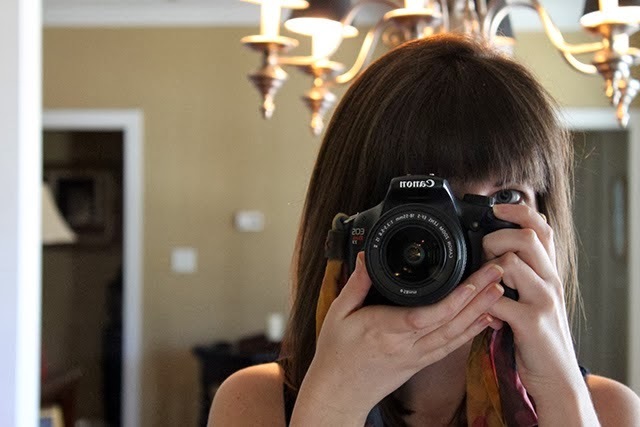 I'm a recent college grad (as of December) and see this transition time as something exciting and I can't wait to see what the future has in store for me and this little blog of mine. + Describe your blog in three words. + What piece of clothing describes you best and why? That's a tough one! I would say that I'm your favorite LBD...classic, timeless, and always makes you feel better before going out at night. + If you could eliminate one thing from your daily schedule what would it be and why? I would eliminate washing and styling my hair in a heartbeat! I wish I was one of those lucky few who can do the "no-poo" trend or go at least every other day without suds-ing up and flat-ironing their hair. But alas, I have to take an extra thirty minutes every morning. + If you could have an unlimited amount of one thing what would it be? these are all excellent goals!